'An effect is only momentary ... it has been the object of the artists to render faithfully, and thus obtain first records of effects widely differing, and often of very fleeting character'. 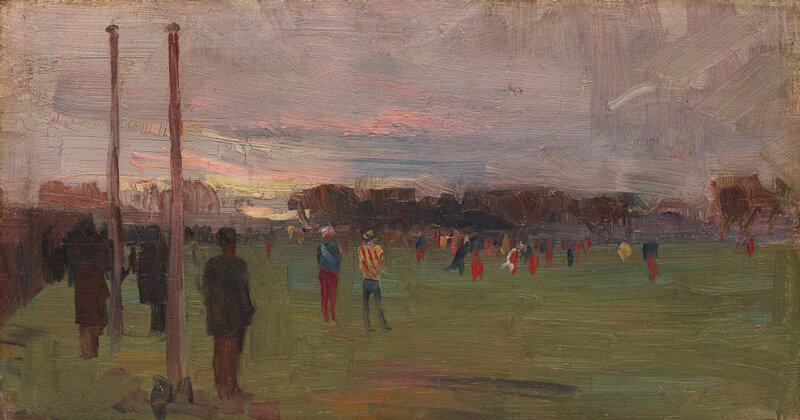 'The national game' was exhibited in the influential '9 by 5 impression exhibition' held at Buxton's Gallery in Swanston Street, Melbourne, in August 1889. The exhibition included paintings that would normally have been considered preliminary sketches for larger works and consequently unsuitable for public exhibition. 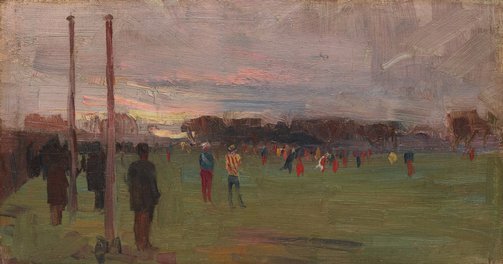 It proved to be central to the development of the Heidelberg school of Australian 'impressionism', a turning point in the history of Australian landscape painting. Signed l.r. corner, incised "A.S.". Not dated. Jane Clark, Golden summers: Heidelberg and beyond , 'The 9 by 5 Impression exhibition, 1889', pg. 112-117, Melbourne, 1985, 127 (colour illus.). Lisa Martin, Age , '"A pain to the eye" - art critic James Smith, The Argus newspaper, August 17, 1889', pg. 4, Melbourne, 08 May 2007, 4. Chris McAuliffe, Art and Australia (Vol. 32, No. 4) , 'Eyes on the ball: images of Australian rules football', pg. 490-501, Sydney, Winter 1995, 492, 493 (colour illus. ), 494, 495. Dr Chris McAuliffe, Basil Sellers art prize (2008) , 'Life, shadow and spectacle: An overview of art and sport in Australia', pg. 6-11, Melbourne, 2008, 8, 10 (colour illus.). Timothy Morrell, Ready Set Go! Sporting life and Australian art , 'Ready Set Go! ', pg. 40-49, Ipswich, 2001, 44 (colour illus. ), 45, 55. John Olsen, Art and Australia [series 3, vol. 1, no. 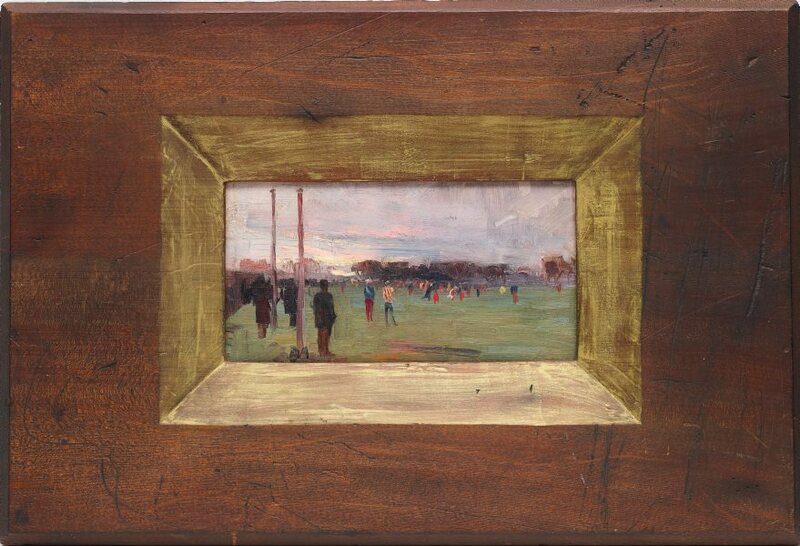 3] , 'Sir Arthur Streeton', pg. 161-164, Sydney, Nov 1963, 160-165, 164 (illus.). Barry Pearce, Look: 1953-2003 celebrating 50 years , 'Presenting our own artists', pg. 42-44, Sydney, May 2003, 42. Vivienne Webb, Australian art: in the Art Gallery of New South Wales , 'Golden age', pg. 37-38, Sydney, 2000, 48 (colour illus.). 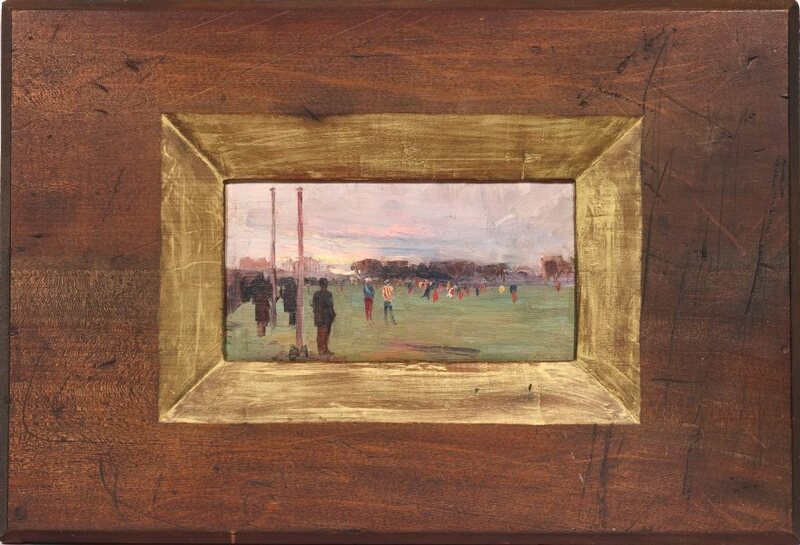 Christopher Wray, Arthur Streeton: painter of light , 'The 9 by 5 exhibition', pg. 40-49, Milton, 1993, 43. Art of Australia. Vol 1: Exploration to Federation , 'Our hill of gold', pg. 419-484, Sydney, 2008, 474 (colour illus. ), 480. The Sydney Morning Herald , Sydney, 20 Nov 1974, 43. The glorious years of Australia fair from the birth of the Bulletin to Versailles , Milton, 1971, 105 (colour illus. ).